How we breathe has a profound impact on our overall health and awareness. 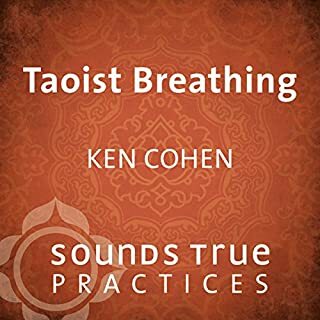 In this guided session, qigong expert Ken Cohen teaches you the Taoist three-stage method to use every breath you take to enter a state of calm, stimulate your body's vital organs and boost your energy throughout the day. Okey-dokey :-( Guided abdominal breathing. Controlling the energy flow is one key to good health. 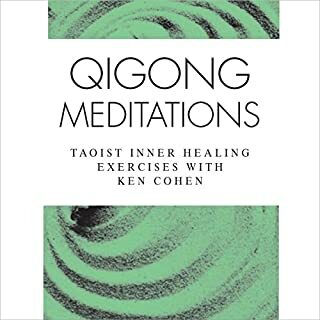 In Qigong Meditations, master instructor Ken Cohen presents three authentic qigong exercises in specific detail and teaches correct posture, awareness control, and cleansing the organs inside the body, with special attention given to proper breathing methods. 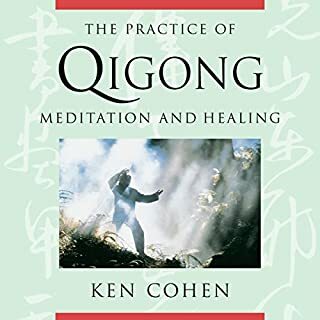 Ken Cohen, one of the West's leading authorities on the Tao, leads you into the flow of zuowang, a meditation for releasing your thoughts into the universal flow of qi, entering its stream, and experiencing the unexpected fullness of "effortless emptiness". For over 2,000 years, qigong has been a cornerstone of traditional Chinese healing. 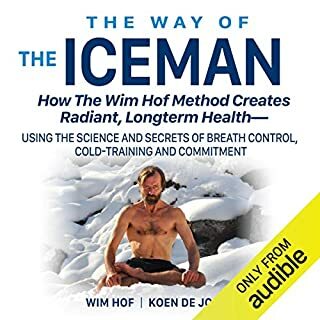 While generally unrecognized by Western medical science, this noninvasive, preventative healing system is viewed by millions of Chinese as a way of mastering the energy that permeates all of nature and humanity - the qi - that is literally the breath of life. This audio program is a complete study course that teaches how to bring this natural system for mind/body healing into your life. Is it possible to maintain a youthful flow of abundant vitality throughout our entire lives? 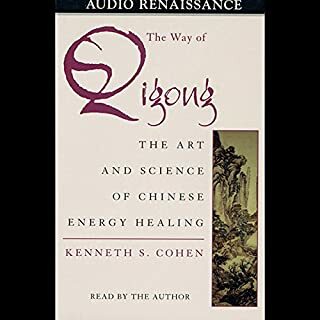 Qi Gong masters such as Robert Peng know that we can - by using time-tested practices to amplify our physical, mental, and spiritual energy. Here, he introduces techniques for visualizing and directing the flow of subtle energy with this guided full-body energy-cleansing practice. Sounds True Practices are short downloadable audio sessions selected from our most popular courses. I love it! It really took me there. In a world overabundant with stimuli, body-based practices are a powerful way to maintain spiritual awareness and physical health. In this session, Reginald Ray teaches a Tibetan Buddhist meditation to directly connect with the earth, which is understood in the tradition to be a living, enlightened being with the ability to bestow equanimity, calm, and healing. What if you could distill the great teachings of the world's indigenous cultures into seven principles that would bring inner peace and fulfillment to your life? Traditional healer Ken Cohen spent 35 years studying, practicing, and training with elder healers from the Native American, African, Siberian, Aboriginal, and Chinese indigenous traditions. Now, he shares the common threads that tie these paths together on Native Wisdom: Seven Keys to Health & Happiness. This has really helped me rethink the way I go about my life and has instilled in me the importance of each living things place. The secret to better health is something you are doing right now: breathing. But are you breathing effectively? Centuries ago, the qigong masters of China discovered that how we breathe has a profound impact on our overall health and awareness. 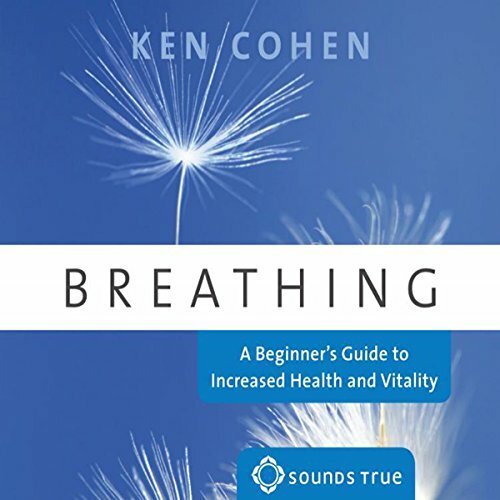 On Breathing: A Beginner's Guide to Increase Health and Vitality, qigong expert Ken Cohen teaches listeners to instantly breathe energy and healing qi (life force) into the body every minute of the day. 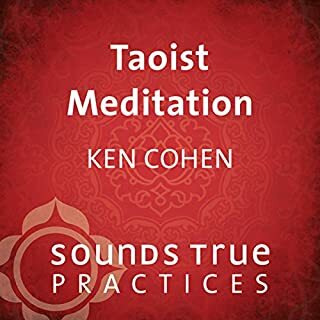 Here on one audio program, he provides a thorough entry-level course for transforming each breath into an opportunity to enter a state of blissful calm, stimulate the body's vital organs, and infuse energy into every cell-whenever or wherever.